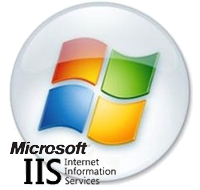 IIS stands for Internet Information Services. Microsoft developed this easy to use Web server software. It can transform a regular computer to a computer that can serve and perform tasks like a Web server. It will let you host Web pages on your home or office computer. Other people can access your Web pages through the use of the DNS (Domain Name Server) or the IP (Internet Protocol) address of your IIS Web server. To find the IP address of your home or office computer, go to Command Prompt and type the command “ipconfig” without quotes. By default, IIS is not installed in Microsoft Windows XP Professional. However, it will be installed if you upgrade your operating system from Windows NT or Windows 2000 to Windows XP Pro. To manually install IIS, get started by accessing the control panel of your computer. Choose the “Add or Remove Programs” task. A new window will appear that will load a list of all programs installed. This part may take a few moments. When finished loading, select the “Add or Remove Windows Components” setting that is located at the left portion of the dialog box. A wizard will then take over to assist you with the installation, just follow its instructions. If you have followed it correctly, it will inform you that the installation has successfully completed. In configuring Microsoft Windows IIS, you need to use the IIS snap-in applet, also formerly known as Internet Services Management. There are three ways to access it. First, go to Control Panel. Choose the “Administrative tools” option. Then, open “Internet Information Services”. Another method is through right clicking “My computer” that can be found on your desktop. Select “Manage”. This will open the Computer Management console. On the new window, select “Internet Information Services” which can be found inside “Services and Applications”. The third method is the easiest way to access the IIS snap-in applet. Click “Start” and select “Run”. Type “inetmgr” without quotes, then click “OK”. The IIS snap-in applet offers server management settings to control the access and content of your FTP (File Transfer Protocol) or Web pages. Some developers commonly use this to test if the site they have created works perfectly. 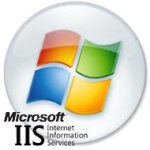 When IIS is installed correctly, a default web site and an FTP account will be created. You may then input information into the default site and FTP account. It is recommended to get a static IP address from your ISP (Internet Service Provider) as well as to register a domain name from a reputable domain registrar. Configure the DNS (Domain Name Server) settings of your newly registered domain through the domain management panel provided by your domain registrar to their customers, so it points to your static IP address and the host name of your Microsoft Windows IIS Web server. This will allow you to promote the Web pages hosted by your Microsoft Windows IIS Web server through an easier to remember domain name (as opposed to a difficult to memorize IP address, which consists of random numbers divided into four sets of digits). Viewers interested in your content can then access the Web pages stored in your home server by simply typing your easy to remember domain name in the address bars of their Web browsers. Shared Windows Hosting: What Is Plex and Why is it a Popular Alternative?